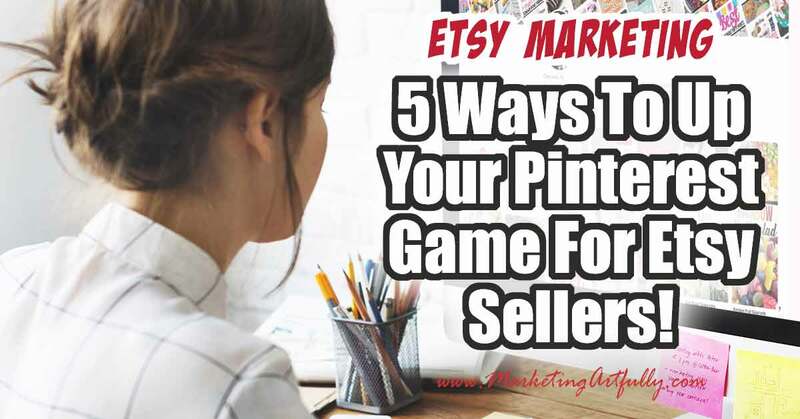 You are here: Home / Etsy Marketing / 5 Ways To Up Your Pinterest Game For Etsy Sellers! Pinterest can be super confusing for Etsy sellers! You know social media is supposed to drive this flood of views, but there is really nowhere that shows you how to do it from start to finish in a way that will make your time worth it… until now! Here are 5 tips and ideas to help Etsy shop owners get more views and drive more sales to their Etsy store! This free marketing tutorial will walk you through setting up your Pinterest, making sure you have a strong profile and boards, how to make pins, write description and more. From beginner all the way to advanced tips, there is something to help any seller up their Pinterest game! There are so many parts of doing Pinterest for Etsy sellers! Here are all my tips and ideas for adding this awesome social media channel to your Etsy small business. 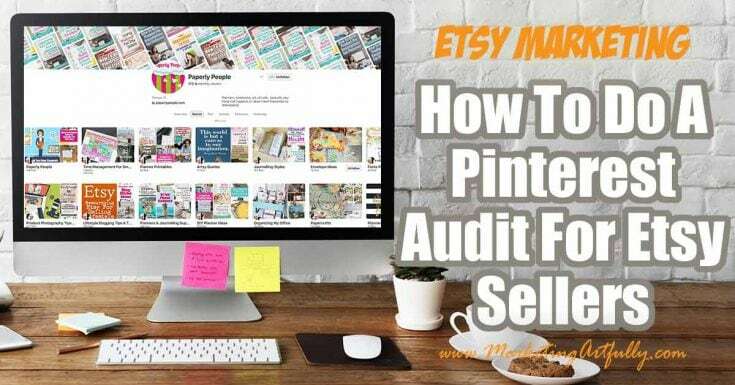 Today we are going to talk about doing a Pinterest audit for your Etsy store! Includes tips and ideas for setting up your profile, boards and what and how to pin to get more views to your Etsy shop. Great for Etsy sellers who want to add this super buyer friendly social media platform to their business. How to make cool Pinterest pins that get shared for free using the photo tool Canva, your product pictures and a little creativity. This Canva tutorial includes my best tips and ideas for making easy Pinnable images that actually help sell more on your Ecommerce shop. Includes a free printable checklist! 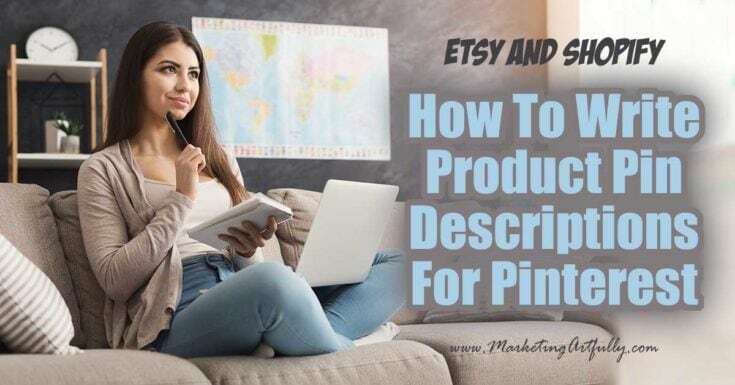 Today we are going to talk about how to write product pin descriptions that will help your pins get shared on Pinterest! This works for any ecommerce site, but the examples are specifically for Shopify and Etsy sellers! 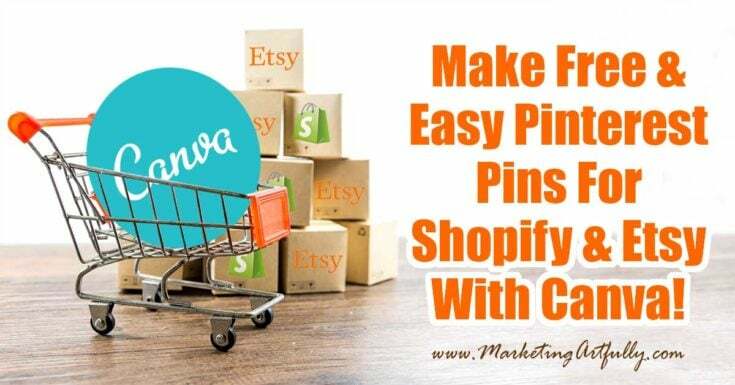 Once you have your pin ready for Etsy product listing and your description written, the next thing you want to do is post your pin to Pinterest! That is so much easier to do effectively with marketing strategy if you use a scheduler like Tailwind! 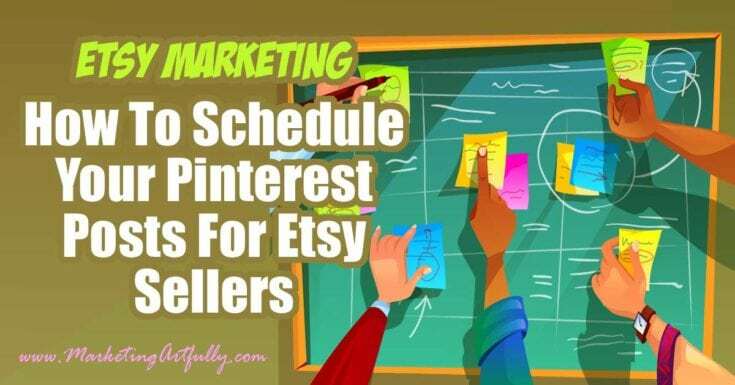 Here are my best tips and tricks for scheduling your Etsy product pins! 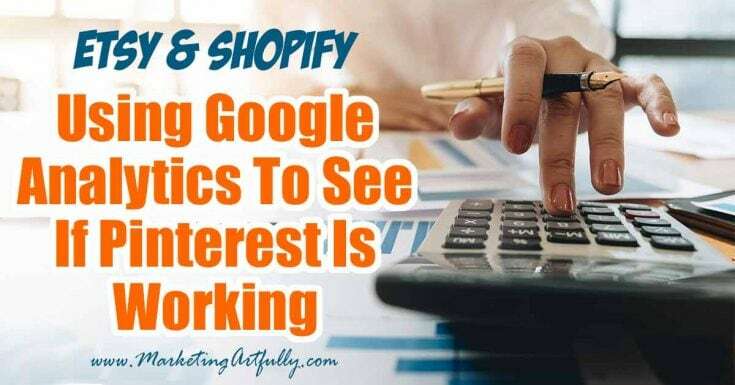 If you are using Pinterest for marketing your Etsy shop or Shopify store, it is super important to track how many views (or hits) you are actually getting for your efforts. Tips and ideas for tracking your Pinterest traffic and how to know if what you are doing is working! 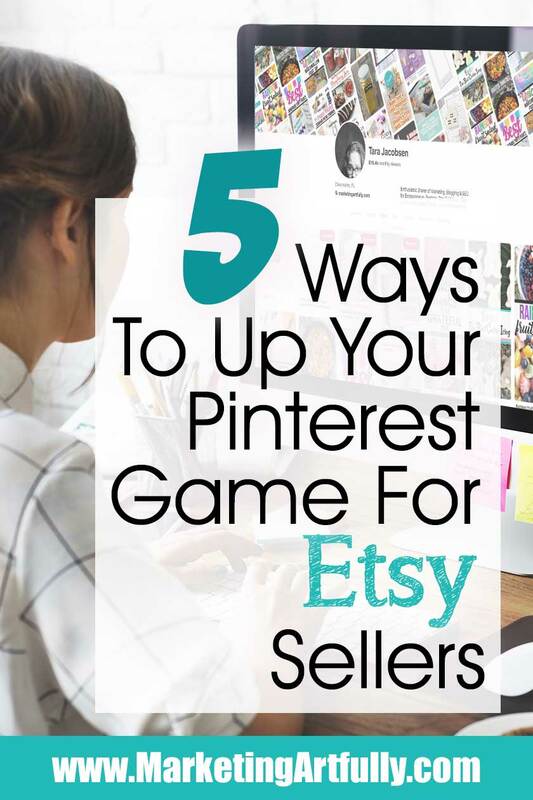 As I was putting together this series I got lots of questions from Etsy sellers about how to (effectively) do Pinterest for ecommerce sellers. Here are that stood out as helpful! Doesn’t Doing Pinterest Take A Lot of Time? Hmmm… I wanted to think about this one a bit because a couple of gals asked me about that! So first off, every time you list something you should be sharing it on all the social medias like Pinterest, Facebook, and Twitter using the share buttons. NO, I am not suggesting you have to have a huge presence on all of those social media platforms, but for sure it is worth taking 5 minutes to promote your listings. But then what? Facebook and Twitter have a shelf life of hours if not shorter. The great thing about Pinterest is that your products will be “live” on the site forever and you can “repin” them to give them life, long after those Facebook posts have faded away! Also Pinterest users are shoppers. They didn’t go to the site to find out about the latest TV show (Twitter) or their daughter’s new boyfriend (Facebook), they went there to dream about a perfect life … which might include your product. Do You Have To Do All Kinds of Fancy Product Photography? Well, it would help to have great product photography, that is something that I think will help you all around since great pictures help in Etsy search too! That said, some of the most popular pins are the most hideous things I have ever seen! Seriously, you should post some of your photos, see if they are doing good. Try a couple of different types of styles and then make more of the kinds that work the best. What If You Aren’t Good At Making Pins? With Canva (a free pin making tool) anyone can do it! They have all kind of templates you can use even if you are not a graphic artist. Make sure to read the post above to see how to do it! How Can You Avoid Having “Sold” Pins Show Up? This is a biggie for me! I do post my vintage listings on Pinterest, but as soon as they sell Etsy starts promoting other products like them instead of sending “my” people to my shop. That is why I sometimes link to my category pins instead of the individual listing. For example, I sell a lot of doorstops so I will link my doorstop pins to the category rather than to the individual item! How Many Shop Views Can You Actually Get From Pinterest? In the last 30 days Pinterest has driven over 1/4 of my shop views, so yes! I feel like some Etsy shop owners do great just from Etsy search and can ignore social media altogether (and good for them!) I have found though, that if I spend a little bit of time and energy I can get great results from Pinterest! It has been fun writing this series to help my Etsy peeps. 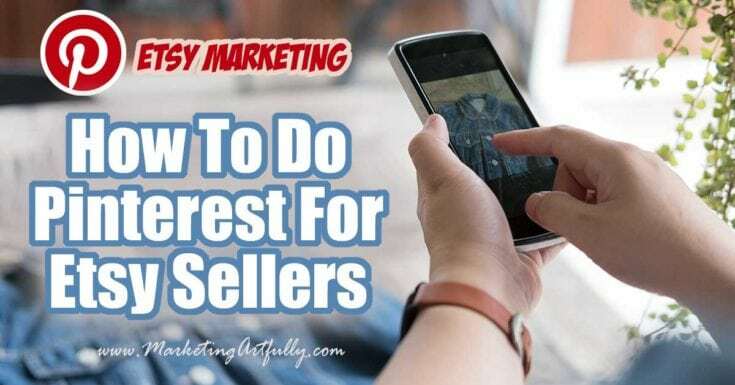 I have learned some great tips and ideas to help my shops along the way and have really upped my efforts seeing how well Pinterest works to drive shop views. To me it is SO worth taking a little bit of time to make pins and share them since it has been show to be effective in driving traffic. What I do is make a pin a day for my products and then share it to all the groups, Tribes and boards I can think of! Some have taken off like a rocket (looking at you Poshmark form) and some haven’t really done all that much, but overall it worth the effort for sure!